If you have been cited or arrested at Burbank Airport (Bob Hope Airport), there is help available. George Kita has handled numerous airport criminal cases, and is extremely knowledgeable about Airport Arrests. He explores creative solutions without criminal convictions, whenever possible, and has successfully resolved many airport cases without substantial court involvement. Early intervention may help resolve a Burbank Airport Citation or Arrest. Call now, and see how he can help, at 818-536-3630! Possession of weapons (Penal Code section 16590, 21310, 22210, 25400, 25850, etc) - including, batons, switchblades, metal knuckles, guns, nunchakus, dirks or daggers, throwing stars. Possession of controlled substances - a wide range of prohibitions described in local, state, and federal laws. Disturbing the peace- verbal disputes which are deemed a threat to airport environment. Purported Threats- escalated verbal or other perceived threats. 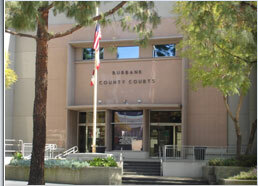 A Burbank Airport dispute can easily transform itself into a criminal case in the blink of an eye, resulting in substantial consequences, as you can read about at: Burbank Airport Criminal Cases. If you are convicted of a Burbank Airport crime, possible sentences include jail, probation, fines and community service. However, there may be more productive solutions available. Find out your options! Call Today! Protect your rights and contact George Kita, an experienced and effective airport arrest attorney. Mr. Kita has handled airport citations and arrests for more than 15 years. He can evaluate your case, & determine the best options to protect you. Arrested at Burbank Airport? Call 818-536-3630. *Airport case results depend on surrounding case circumstances.